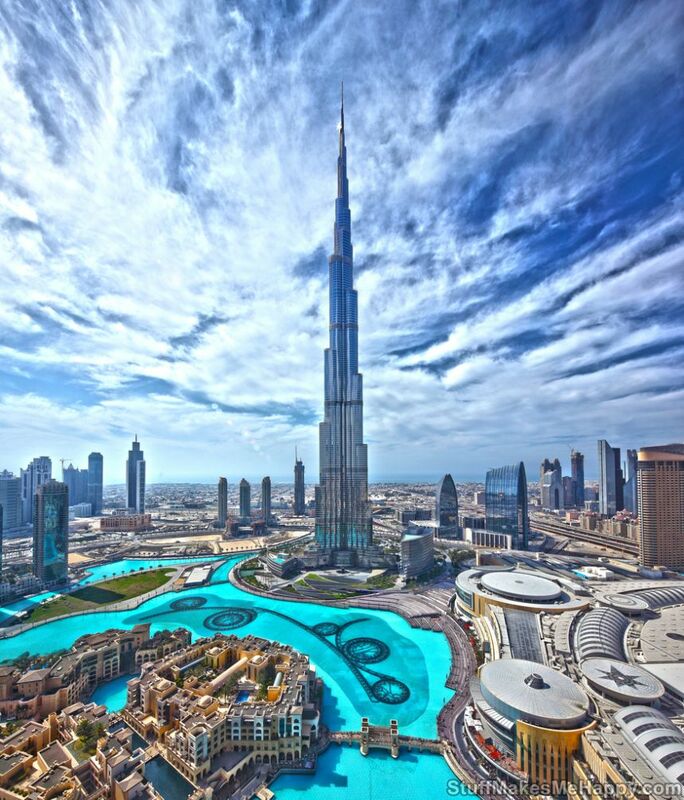 Dubai is the tallest man-made building ever. 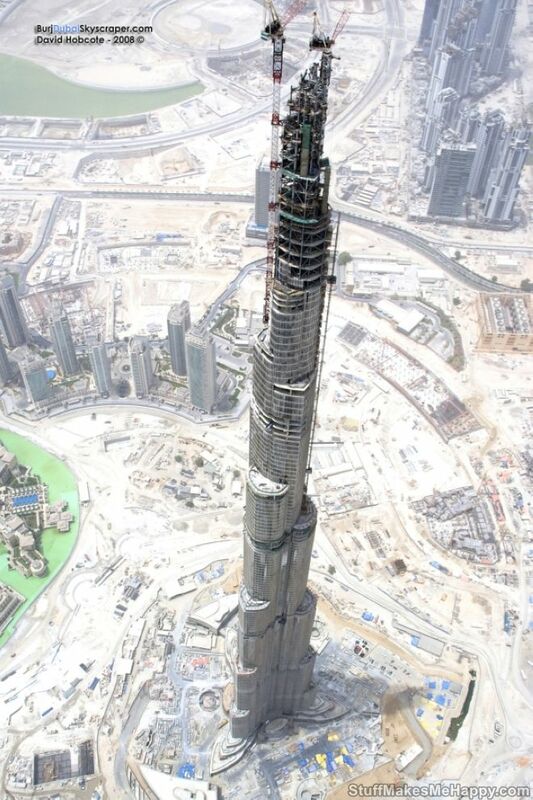 Not a single tower surpasses the 828-meter tower of the Burj Khalifa. 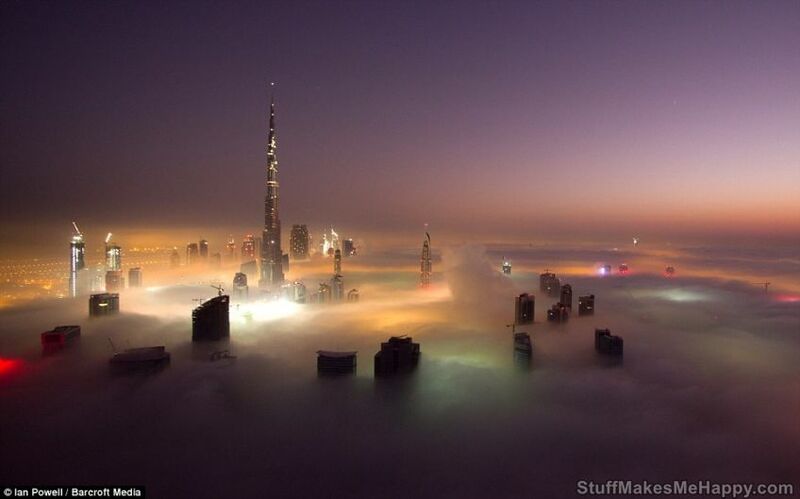 It looks like a fairy-tale castle in the clouds from a plane flying to Dubai Airport. On a clear sunny day, the huge tower reflects the sky, and at night it shimmers with lights. Inside the huge building, equipped with 57 high-speed elevators, moving at a speed of up to 12 m / s, the Armani hotel, residential apartments, various offices, and boutiques are located. 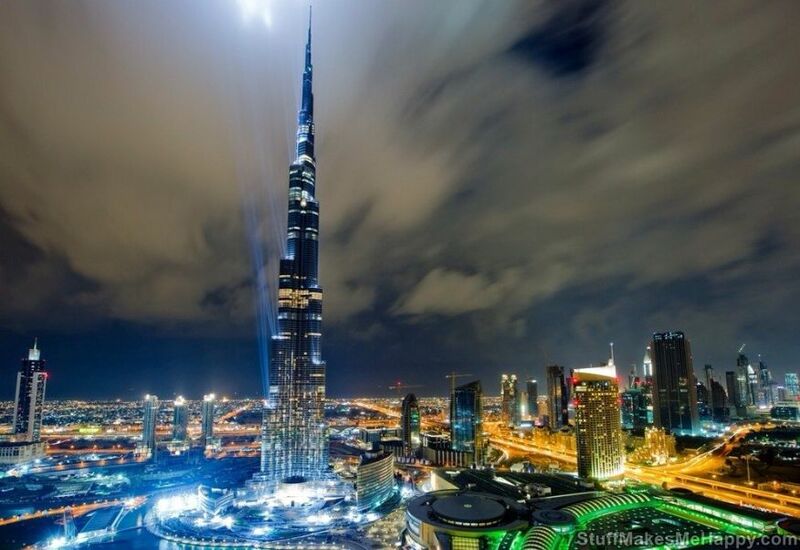 Burj Khalifa even has a special fragrance that cannot be found anywhere else. The air inside the tower is automatically cooled and flavored. 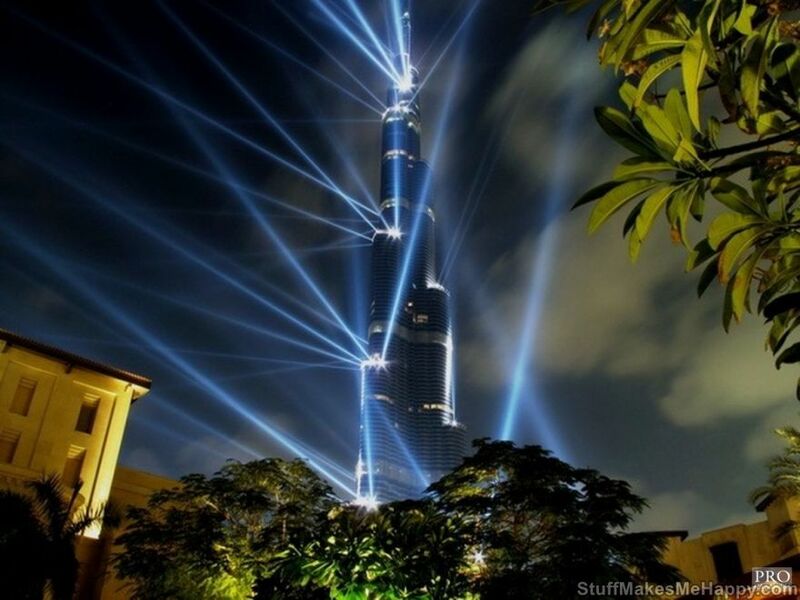 In the New Year, all the floors of the tower are flooded with light, and dozens of fireworks flash around it, causing Burj Khalifa to resemble a festive Christmas tree. All images rights are reserved to its respective owner.